Use our resources to learn more about porpoises and dolphins here. Harbor porpoises like this one do not generate echolocation signals in the larynx, nor do they emit them through their mouth. Instead, they have specialized sound-producing structures, called phonic lips, located high in the blowhole. Phonic lips! Researchers profiled in the BBC article studied the way porpoises use echolocation to hunt fish. 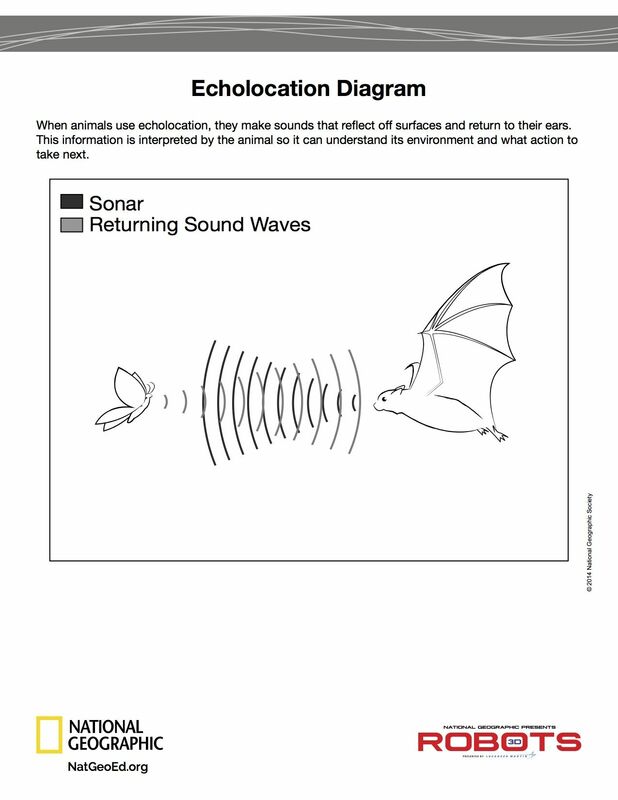 What is echolocation? 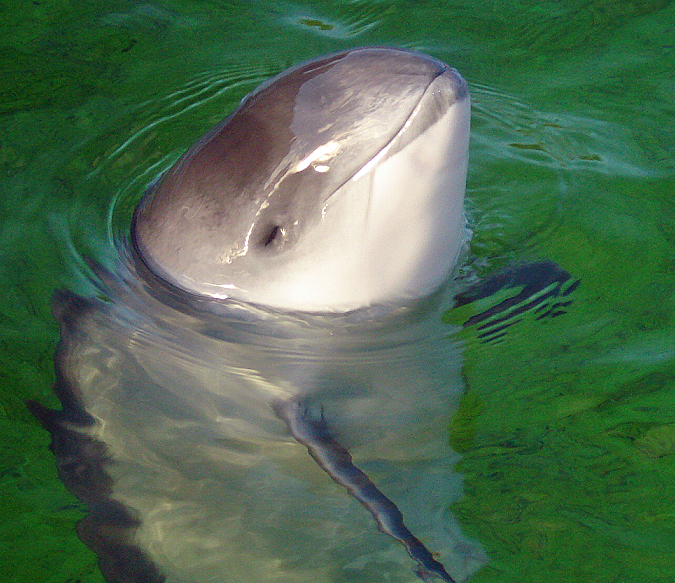 According to the BBC article, the porpoises studied used two sounds in their echolocation technique. What are the two sounds? clicking. When doing a broad search for food, porpoises use an exploratory click to get a general idea of where fish are. buzzing. After a fish or school of fish have been “spotted” with the click, porpoises use a high-frequency buzz to elicit a continuous echo from the fish they are pursuing. The BBC article says the porpoise echolocation technique is “like a adjusting a flashlight.” How? Can you think of any other animals that use echolocation to hunt prey? Porpoises’ cousins, dolphins and toothed whales, also use echolocation. Some birds (oilbirds and switftlets) use a type of echolocation. A few terrestrial mammals, shrews and tenrecs (so cute! ), use echolocation. The world’s most famous echolocators are probably bats! Take a look at our terrific illustration of a bat using echolocation to zero in on a tasty moth. Nat Geo: Is it a Porpoise or a Dolphin?